Junaid Khan's father had last week challenged the November 27 judgement of a single bench that dismissed the petition seeking a CBI probe into the alleged lynching by filing an appeal. 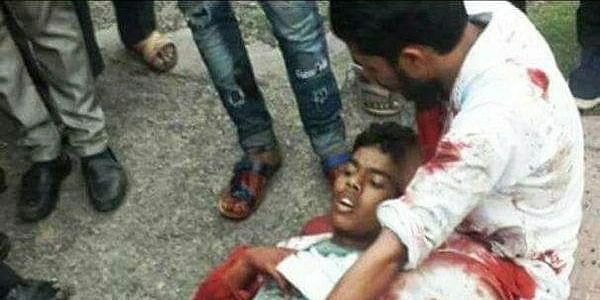 A photo of 16-year-old Junaid Khan who was lynched on a train, moments before his death, shared on social media. CHANDIGARH: The Punjab and Haryana High Court on Tuesday stayed proceedings in a lower court in the case of the alleged lynching of 17-year-old Junaid Khan, who was allegedly stabbed to death last June on a train going from New Delhi to Mathura. A Division Bench of Justices Mahesh Grover and Raj Shekhar Attri also issued a notice of motion to the Haryana government and the Central Bureau of Investigation (CBI), as Junaid Khan’s 55-year-old father, Jalaluddin, had moved a plea seeking a CBI probe into his son’s death. On November 27, a single-judge bench of the High Court had dismissed a petition by Jalaluddin seeking a CBI probe into the death of his son. It stated, “During the course of the hearing, the complainant has not been able to show that there are serious flaws in the investigation, which would lead to the conclusion that the same is shoddy or tainted. Last week, Jalaluddin challenged the High Court’s order before a division bench. In his appeal he said that the true nature of the crime had been subjected to a cover-up and the conduct of the accused and others in a lynch mob had been concealed. Jalaluddin had also demanded a stay on the trial in a Faridabad court. The case will now come up for hearing on January 11. Junaid, a student of Islamic studies in Surat, was lynched while travelling to his village in Haryana from Delhi. Junaid was stabbed to death last June on a train while travelling from Delhi to his village in Haryana Junaid’s father had sought CBI probe into his death. The plea came up for hearing before a Division Bench of Punjab and Haryana HC on Tuesday. HC stayed the proceedings in the trial court in Faridabad. A single-judge Bench had dismissed the father’s plea for CBI probe on November 27.